Nowadays, concepts and techniques from network theory are frequently used to study structures and dynamics of complex systems in various scientific disciplines. Meanwhile, successful applications also cover different fields of geosciences, from hydrology and geomorphology (e.g., scaling of and sediment transport along river networks, spatial structure and interaction of sediment pathways in cascading systems) over climatology (spatiotemporal organization of the climate system, climate model intercomparison on the dynamics level) to seismology (modeling of seismicity in terms of earthquake networks, volcanic eruptions) and natural hazard research (disaster spreading, causality networks). As a particular example, climate knowledge discovery is an emerging community effort to find new tools for the analysis of the vast quantities of climate data being generated by observations and model simulations. Successful applications of concepts and algorithms from complex network theory to climate data sets have already provided first insights into the potentials of such an approach. There is reason to assume that tools employing a combination of high-performance analytics and of algorithms motivated by network science, nonlinear dynamics and statistics, as well as of methods from data mining and machine learning, could provide new insights into different features of the geophysical systems. Similar efforts are currently undertaken in other geoscientific disciplines as well. Among others, complex network approaches to seismicity allow new deep insights into the spatiotemporal organization of earthquake activity. 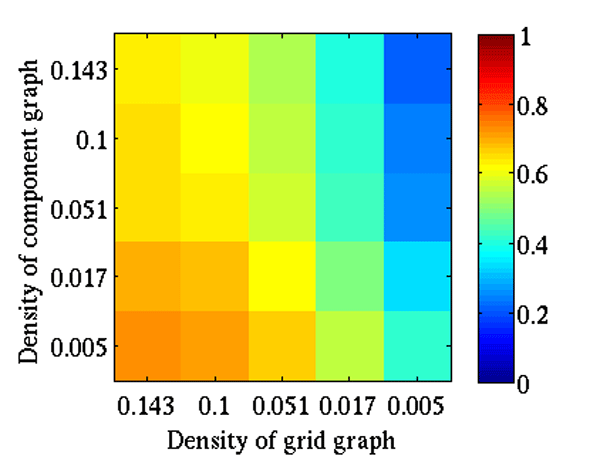 Different types of time-series networks are increasingly used for studying dynamical scaling properties and non-stationarities associated with the emergence of critical phenomena and extreme events in different components of the Earth system. This special issue collects contributions from researchers utilizing complex network approaches for time series, spatial or spatiotemporal data analysis, data mining, and conceptual modeling in different geoscientific disciplines. Specifically, it provides a state-of-the-art overview on network-theoretic approaches in various fields of Earth and environmental sciences, which shall stimulate further research as well as transdisciplinary applications based on this fascinating and versatile paradigm of nonlinear sciences. The paper reviews the available visualization techniques and tools for the visual analysis of geo-physical climate networks. The results from a questionnaire with experts from non-linear physics are presented, and the paper surveys recent developments from information visualization and cartography with respect to their applicability for visual climate network analytics. Several case studies based on own solutions illustrate the potentials of state-of-the-art network visualization technology. Terrestrial water storage (TWS) plays a key role in global water and energy cycles. This work applies complex climate network theory to analyzing spatial patterns in TWS. A parallel analysis is conducted using a remotely sensed (GRACE) and a model-generated TWS dataset. Our results show interesting hotspots of TWS anomalies around the globe. Prospects are offered on using network connectivity as constraints to further improve current global land surface models.